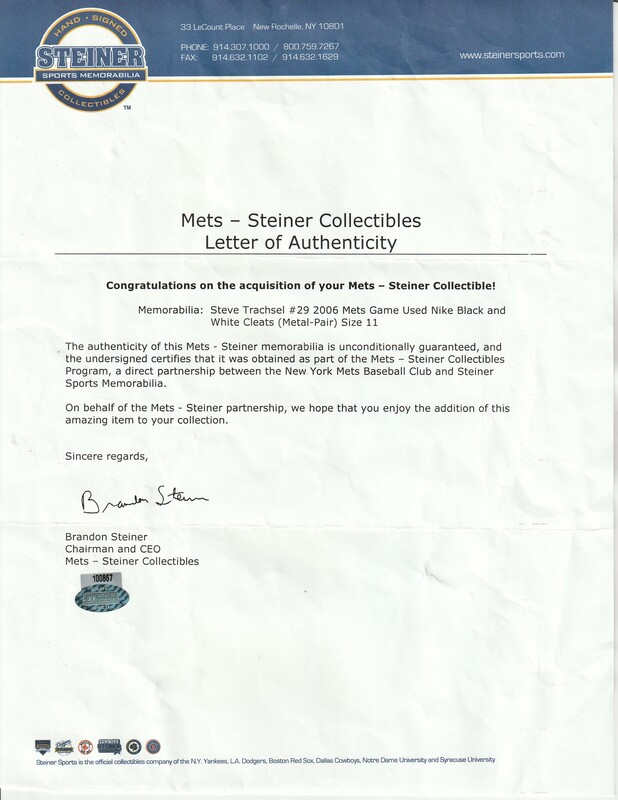 Offered here is a collection of seven pairs of cleats worn by New York Mets players. 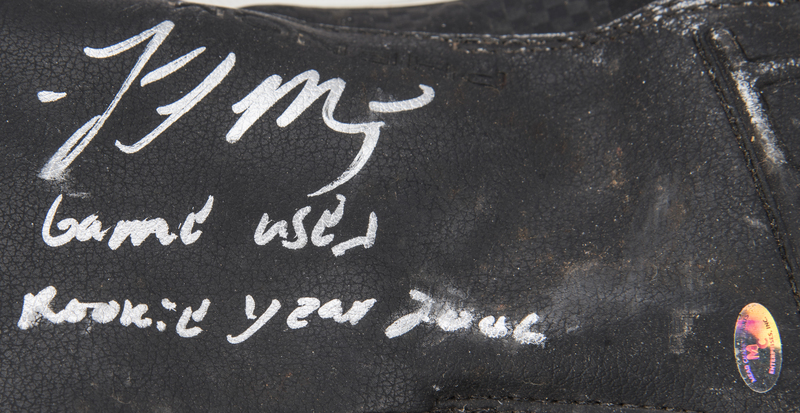 The first pair of cleats are low-top size 11 Nike Air cleats worn by Steve Trachsel in 2006. A silicone bumper is located over the right toe. The second pair of cleats are also low-top Nike Airs. 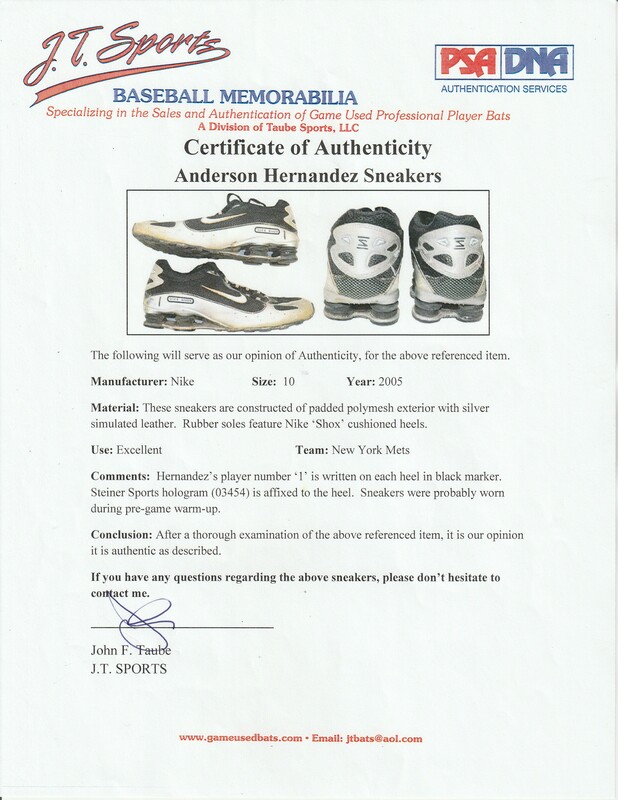 They were worn by Shawn Green and are a size 14. 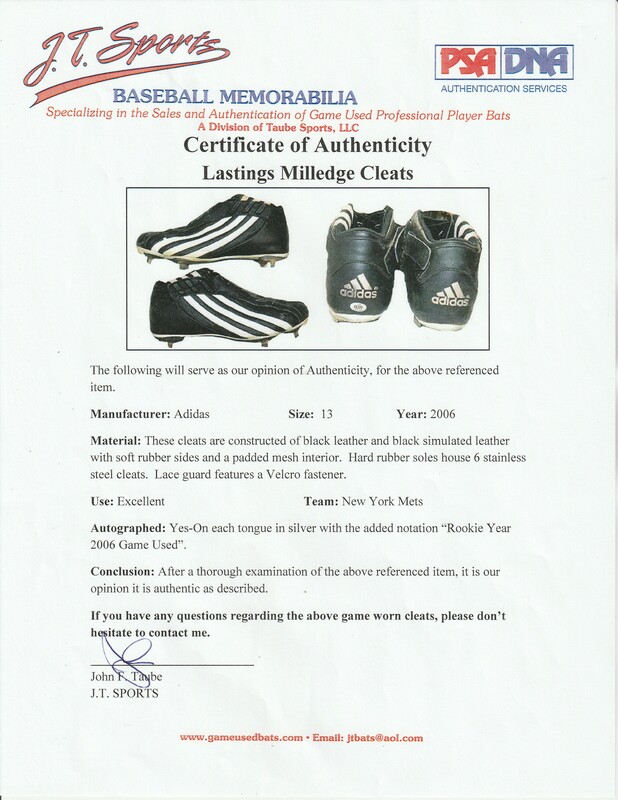 The third pair are size 13 Adidas Phenom cleats worn and signed by Lastings Milledge. 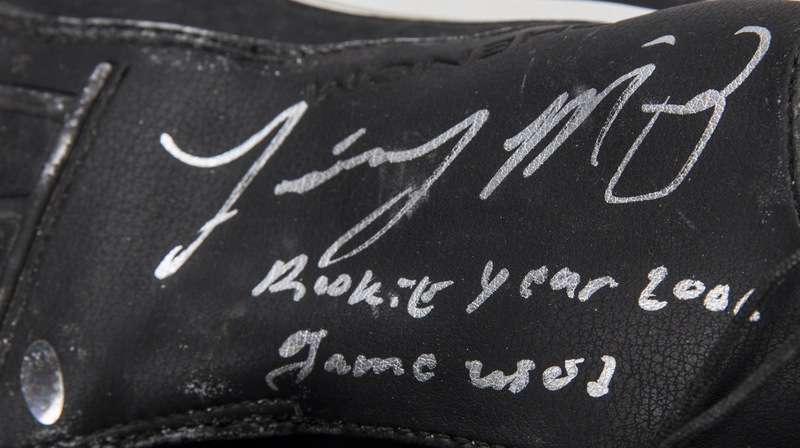 Milledge has signed the lace guard on each shoe in silver marker, inscribing “Rookie Year 2006 Game Used” on each cleat. The next pair of cleats are silver and black Nike Shox turf shoes with the number “1” written on each heel. The Nike Shox are a size 10. The fifth pair of cleats are blue and white low-top Nikes worn by Darryl Strawberry. He has signed each cleat in blue marker. 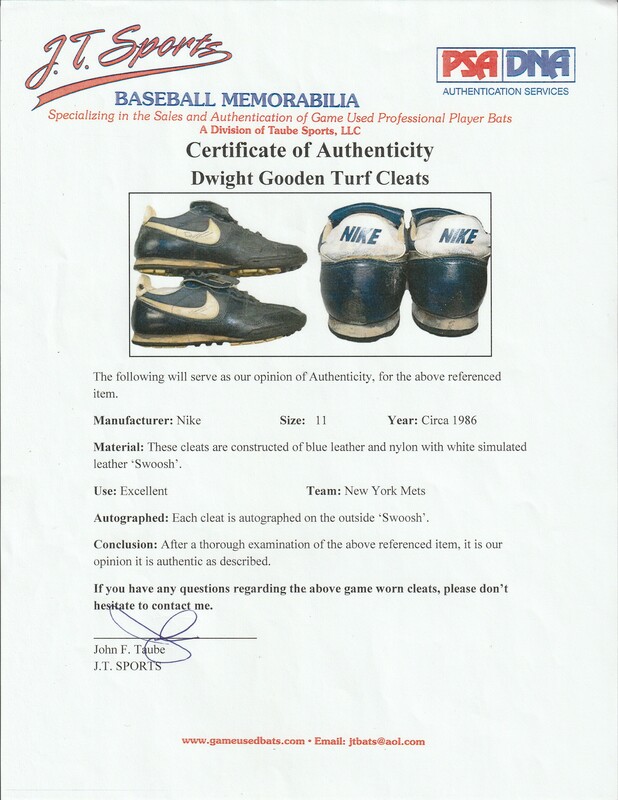 The sixth shoes are low-top blue Nikes worn and signed in blue marker on each shoe by Doc Gooden. These shoes are turf shoes. Finally, a pair of black low-top Puma cleats are included. 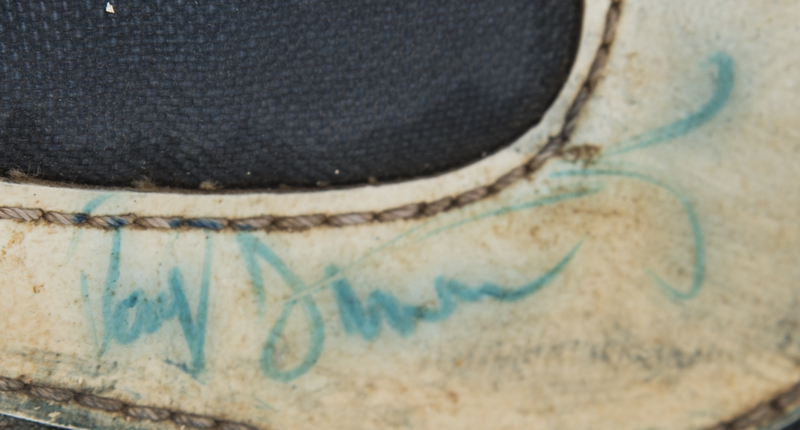 The number “12” is written inside each shoe and on each lace guard. Each pair of cleats and shoes in this lot come with a LOA from JT Sports.